For regular followers, you will remember my little jaunt over to the land of the red, white and blue, to Denver Colorado to appear on Cool Tools. Haven’t forgotten the experience, from the flight on the A380 to getting around Denver, being on the show, meeting and working with Chris Grundy, visiting Rockler, and, well, the whole experience. It all jumped back in mind when I was reading up about a tool sitting out in the shed, and heard it was about to be featured on….Cool Tools! The tool in question: the Nova Comet II midi lathe, from Teknatool. It is a very interesting addition to the midi lineup, and simply based on name, it has quite a pedigree. There are a few other lathes in the same niche, so lets pull them all out, dust them off and see what we have here. There are others, but these are the ones I have some familiarity with. 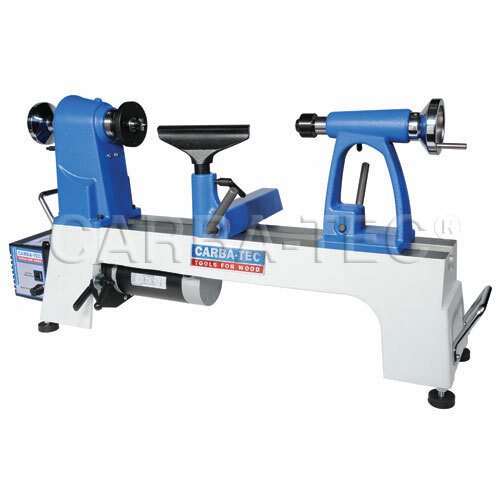 Both the Jet and the Carbatec have the variable speed tacked onto the side, as if the lathe was designed without and on certain machines they get the upgrade. For both the Jet and Carbatec, this is pretty much the case. 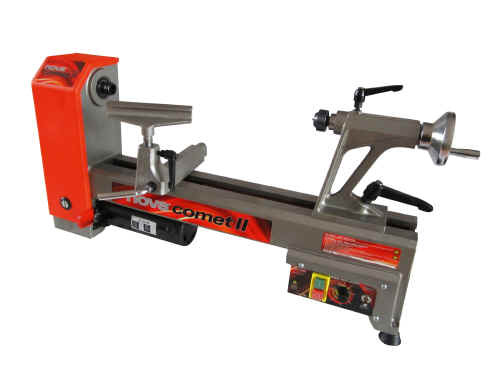 The Comet has it designed to be much more integrally part of the lathe from the outset. This may just be an aesthetic, but it also means there isn’t a speed control box sticking out the side. Dust does build up, and objects do fall or hit things that are sticking out. So in the first rounds, the Comet II really is holding its own. Especially given the price. There are some aspects that do come in though, and this is probably price-related. I like cams on the various movable items, and although it is only the tailstock, I would have preferred it to have been a cam. Although the finish on all user areas is good, there are some rough castings underneath. The foundry really needs to invest in an angle grinder. It wouldn’t have been hard to tidy up the casting a bit more underneath. Toolless access to the belt drive. Other than those points, there are some distinct advantages too! Excellent access to the belt drive – much better than either of the others. It may be a bit lighter (weight is a bonus for lathes), but not too much so, and it does make it more transportable. I’ll revisit the accessories when they arrive, but the concept is very interesting! When I have a chance to really put the lathe through its paces, I will feed those experiences back. The initial testing didn’t reveal any issues. So a very promising addition to the lineup, and at a rather cost-competitive price point! You can afford to add a Nova G3 chuck and still be ahead. Don’t forget, the 4 jaw self-centering chuck which is now the standard for wood turners was invented by Teknatool. I purchased the Nova Comet II partially based on your review. I found major flaws with assembly and machining that I was able to correct, but there are some inherent design issues that tend to limit the lathe to well balanced material and light work. The low speed pulley has so little belt contact that the 3/4 HP motor cannnot be utilized due to belt slippage. The close mounting holes at the headstock end do not allow for adequate support with the supplied feet for any unbalanced work and lathe needs to be securely bolted to a bench or board that can be clamped down (there is no provision to clamp to the lathe direct) as instructed in the manual. The electrical controls seem to work well, but a dust deflector for the control box might be in order to keep dust out of the open top. Additionally, I had to grind clearance under the tailstock center casting to allow the locking plate to lock to the ways, the motor bolts to plate were loose, the motor pulley was not fully seated (had to clean out paint in pulley and use emery cloth to reduce shaft slightly). The midium speed does an adequate job, but again there is belt slippage turning 9″ green bowls. 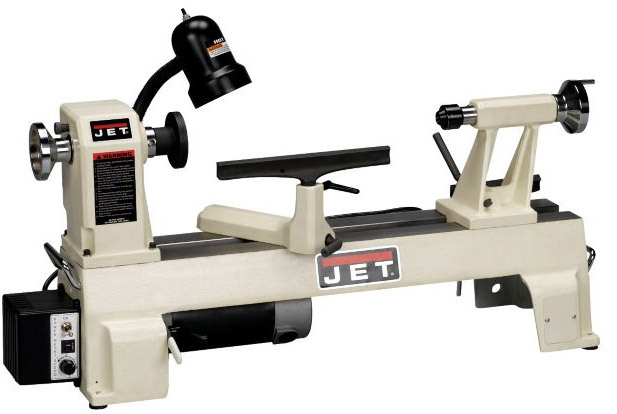 I purchased this lathe to replace my Commander 12 from PSI. I could not be any happier. It is a superb piece of equipment and so far has done all I have asked for it. I have read where others have a problem or two with it, but not me, maybe I am not as critical as they are. I have the critical post above. It has now been 2 years using my little Nova Comet and with some modifications to get a firmer mount and adding a larger hand wheel, I enjoy using the lathe for smaller work and some finishing buffing. I still feel that Teknatool made a big mistake with the size of the pulley for the slow speed and there is no power, but I do not use the lathe for larger unbalanced pieces and use my Powermatic 3520B for that purpose. I have made a vacuum connection to use with lathe to get even more use from lathe. You can see my review and modification on Sawmill Creek dot org.